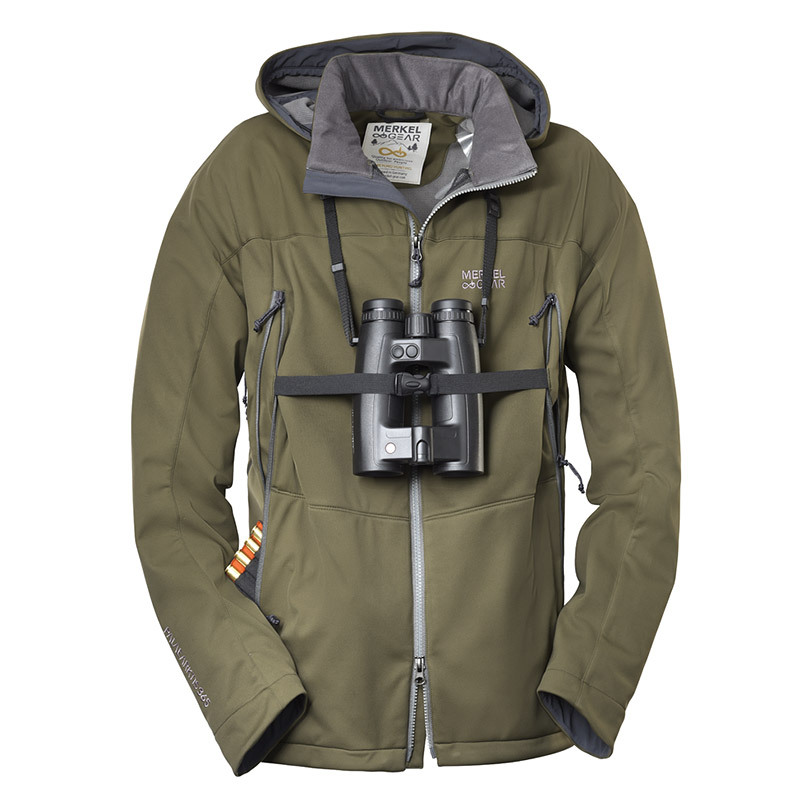 The Palearctic 365 Jacket is an abrasion-resistant, very light and 100% windproof jacket, designed for the demanding all-year-round use in the mountains as well as in the lowland. The soft, smooth 3-layer-laminate with integrated 37.5TM-membrane protects you from wind chill factor, damp weather and sneaking cold. On the inside, a Waffle-fleece-backing warms you and directs excess heat away from the body thanks to its special microstructure. Modular with 2 merino layers, combined with a light fleece, the Palearctic 365 Jacket will be your reliable companion from the 1st of May until late winter. The jacket has a close-fitting cut that is not too tight, the back is significantly longer for protection against wind, it has perfectly cut sleeves that make noisy loop-fabric adjustments unnecessary, which especially pleases the bow hunter. Additionally, it has a so-called drop-away-hood of high quality with a reinforced label, which lies hardly noticeably against your back when not needed. Newly designed for Merkel GEAR, the abrasion-resistant 4-way-stretch soft shell is made from a technical, high-active 37.5TM-polyester-fabric and easily allows for any dynamic aiming position. Even during most challenging winter tours, the jacket offers best performance thanks to the microclimate generating 37.5 technology. This jacket can do without any unnecessary seams. 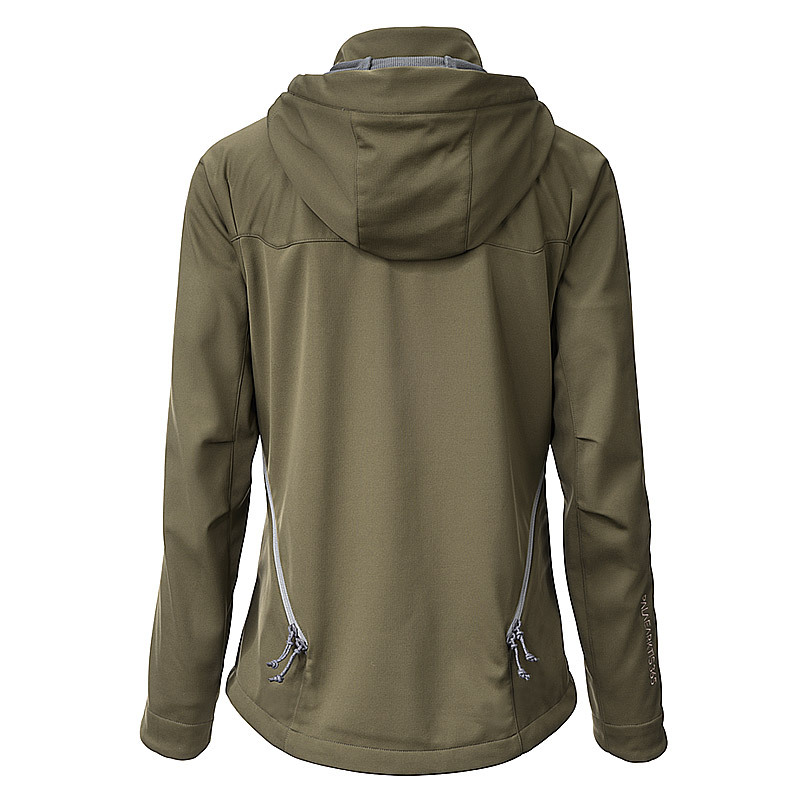 Therefore, thanks to no shoulder seam the jacket will hold off rain for a long time, even if the existing seams have not been heat sealed for the sake of noise reduction. This is possible because of an improved DWR (Durable Water Repellent)-finish, so that water will simply bead up on the surface and drip off. 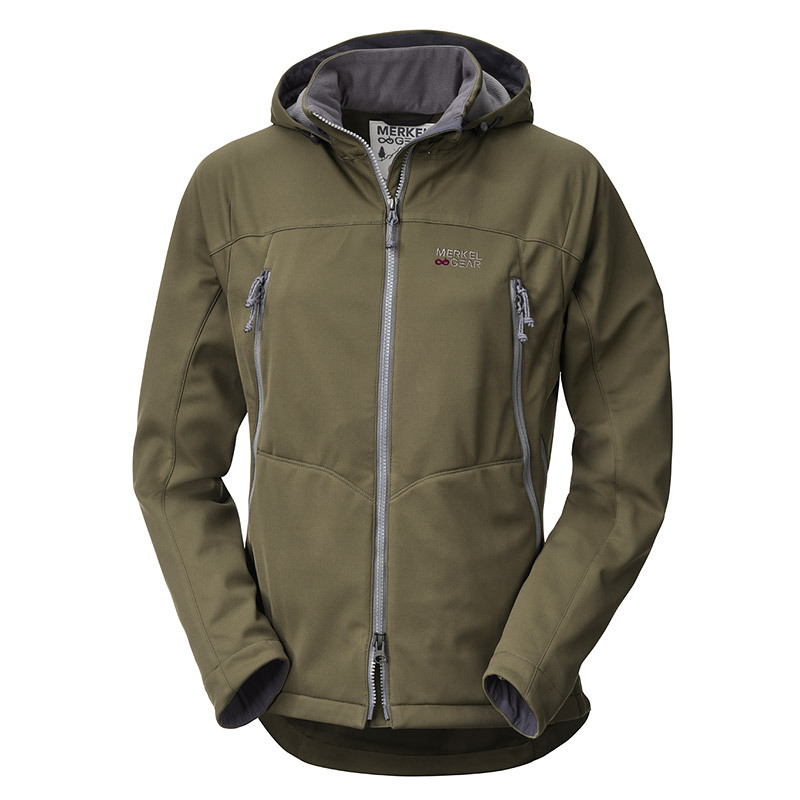 The jacket has four big outer pockets, the upper two of which serve as hand-warmer pockets and for additional ventilation. An elastic band shall prevent your optics from swinging about inconveniently when stalking. 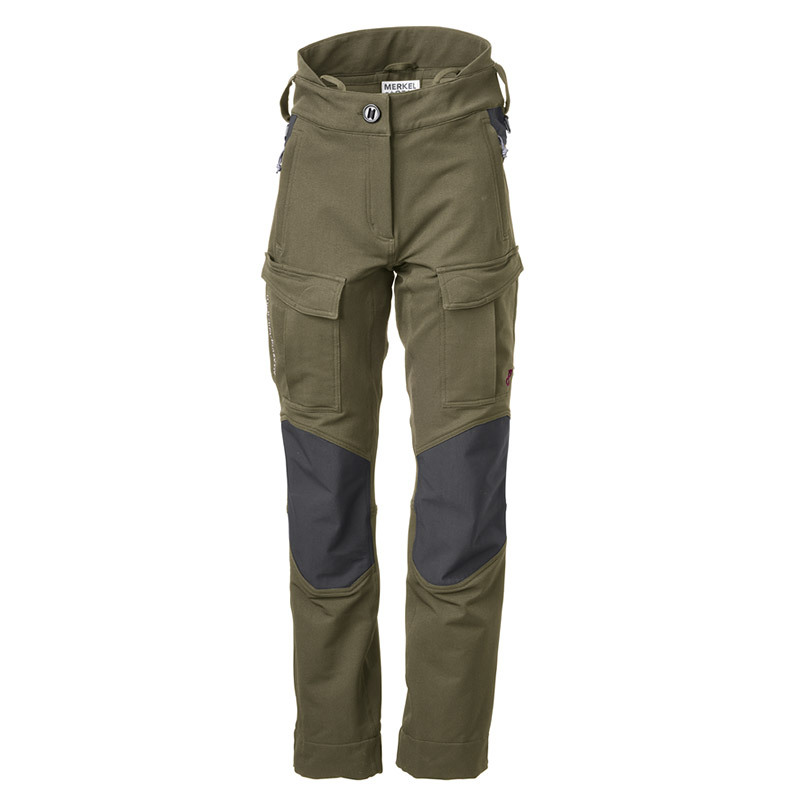 The lower pockets are lined with soft loop-fabric, which allows you to easily attach the provided cartridge-patches. 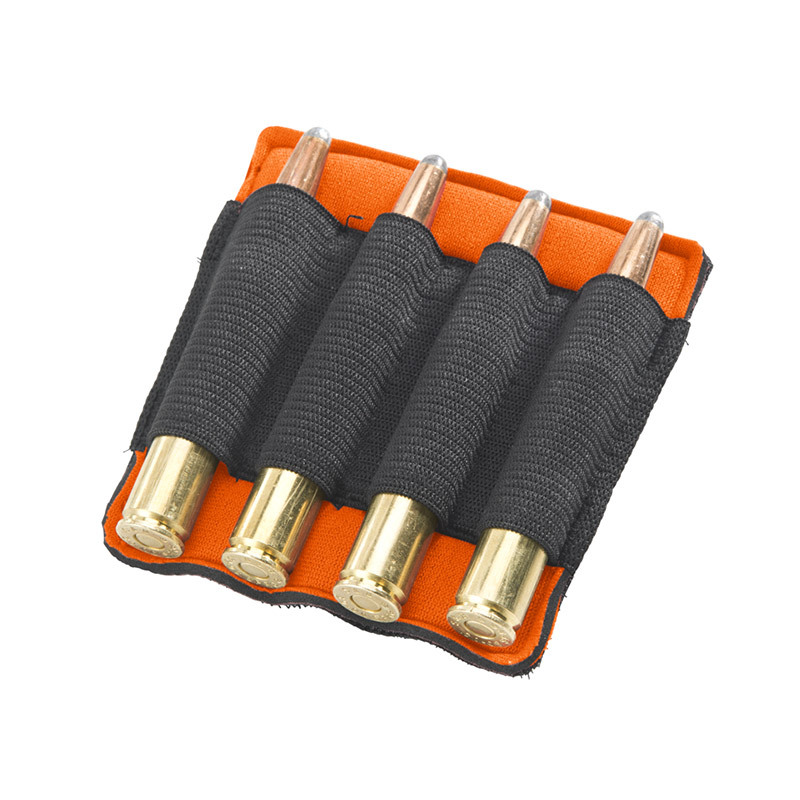 Long, diagonally cut ventilation zippers provide effective ventilation for the front and back of the torso during hunts in the mountain or physically exhausting game dragging. 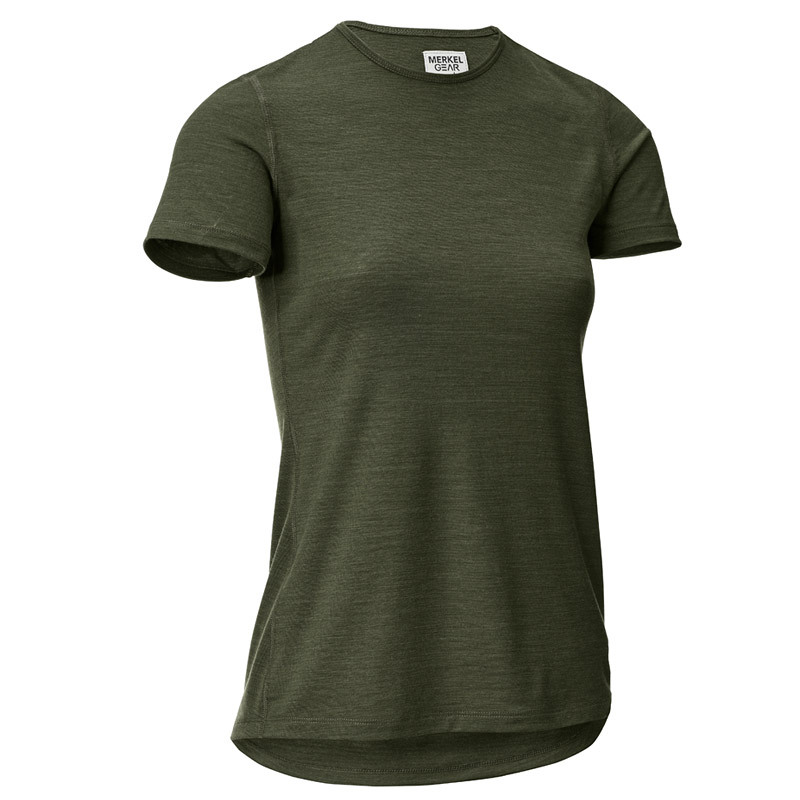 Our Merino T-Shirt first layer (1st layer of clothing) is made from ultrafine, non-irritant, silky soft 140 g/m²-merino wool of certified origin – after trying it on once, you will not want to take it off again.